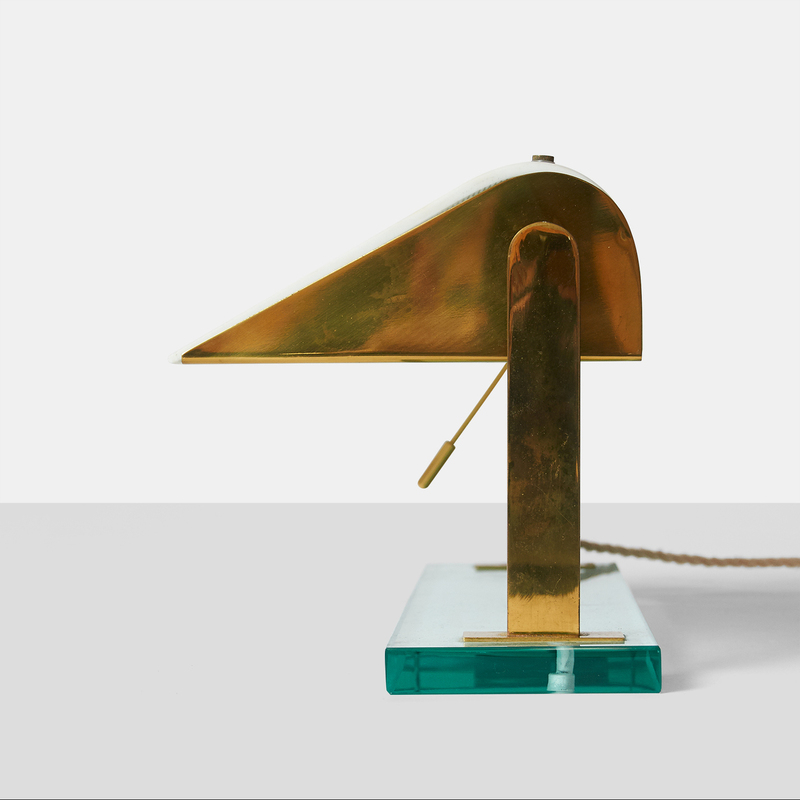 A Classic and contemporary shaped 1940s table lamp by Pietro Chiesa for Fontana Arte. 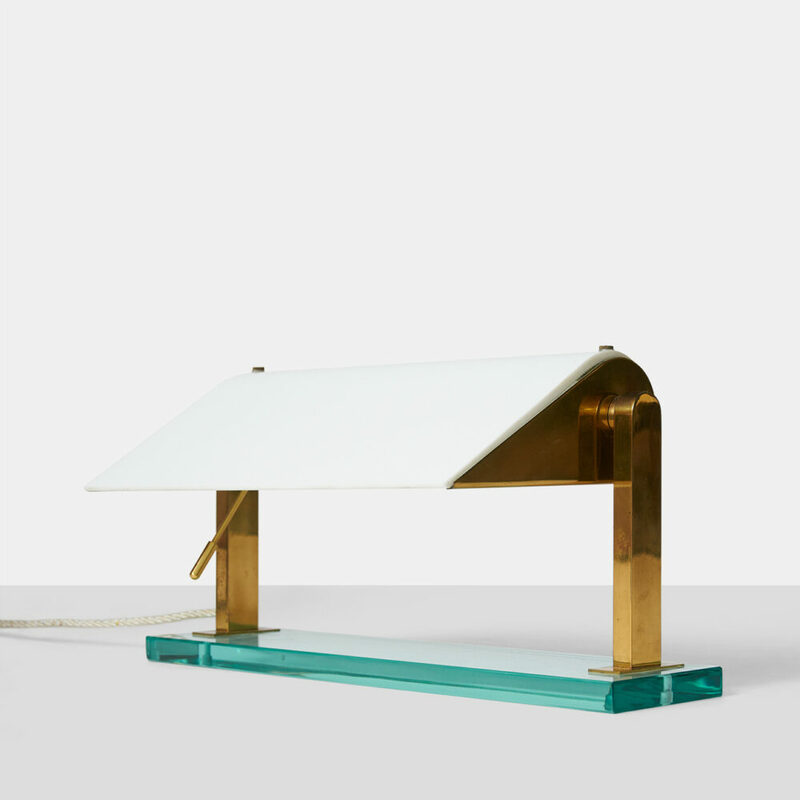 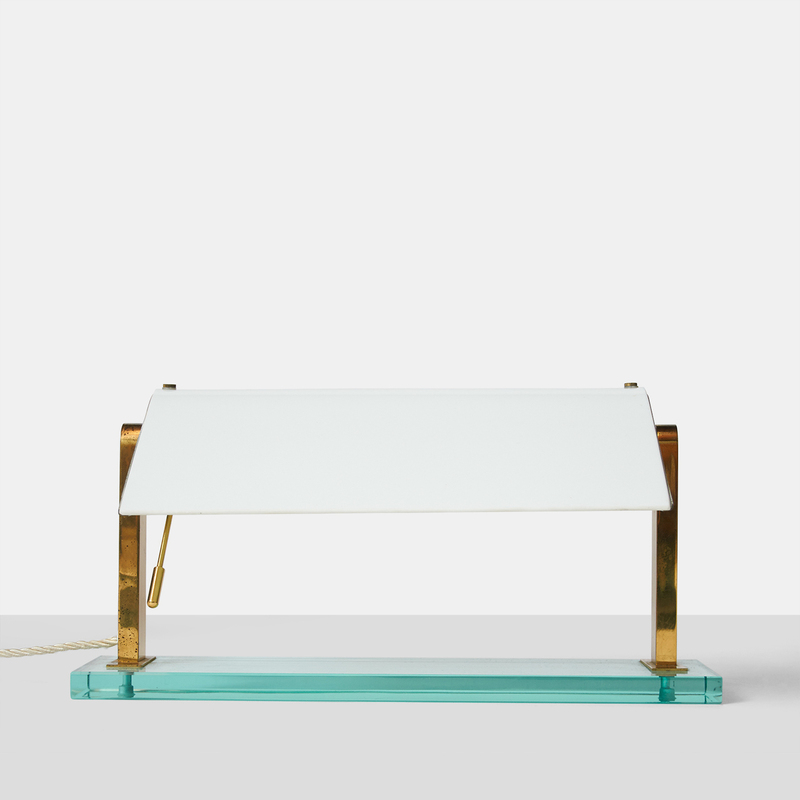 Made with the typical Fontana Arte green glass base, a brass frame, and curved white glass diffuser. 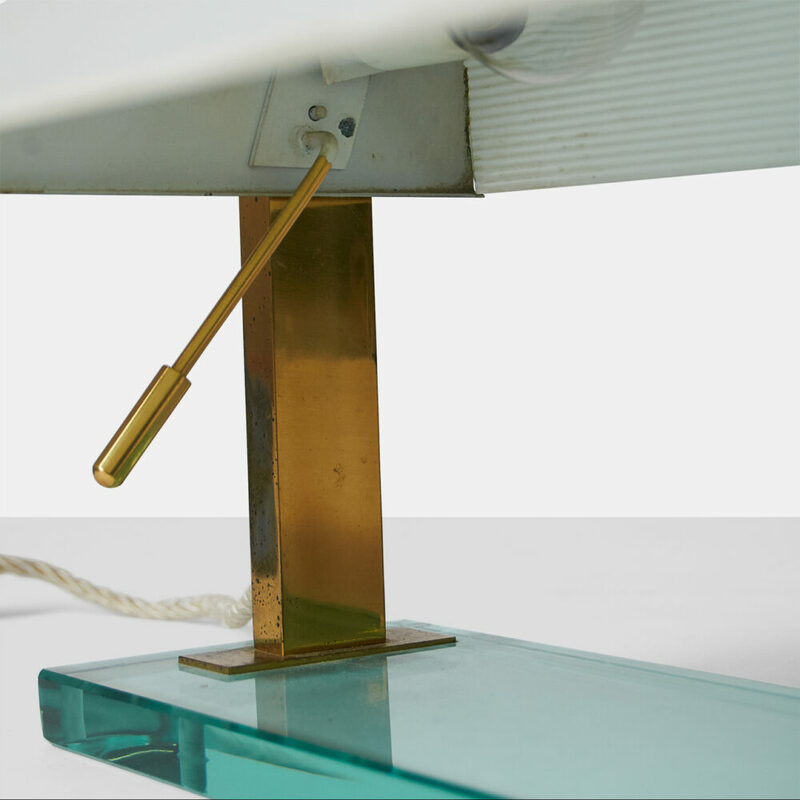 The shade’s angle can be adjusted by using the brass arm. 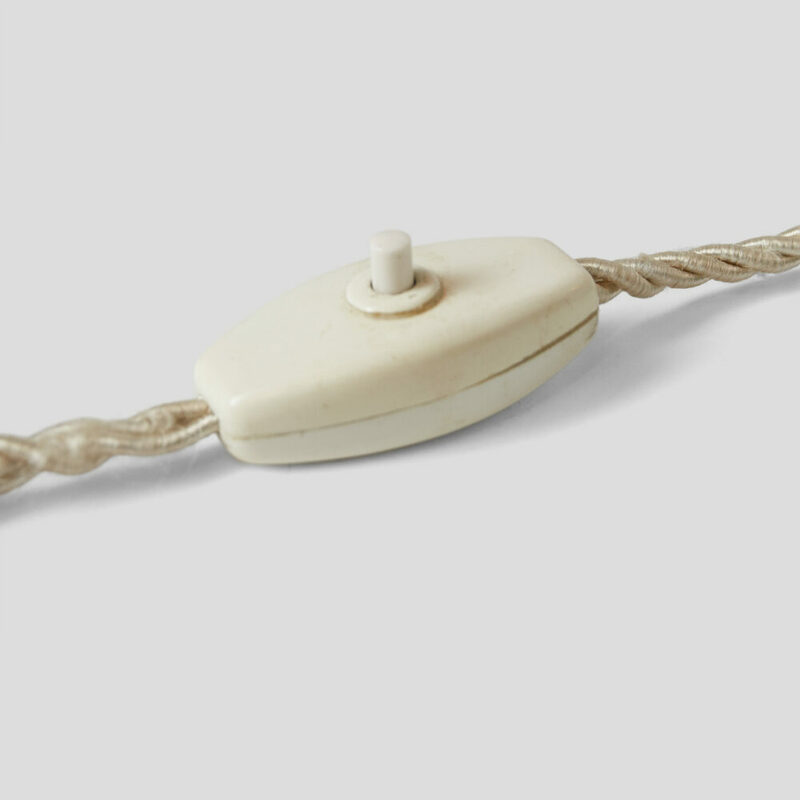 Retains the original wiring in excellent working condition with two candelabra base sockets.